Frances Ellen McKale Clouse, “Fran,” age 92, went to be with her Lord on Tuesday, January 16, 2018. She spoke often of being in glory land, and has now reached her heavenly home. Fran was born on November 20, 1925, to the late Arthur and Berdena McKale in Sturgis, Michigan. After her father passed away, she was raised by her Mother and stepfather, Ray Wadsworth. Fran lived most of her life in the Angola area. She owned and operated Fran’s Bait and Tackle Shop on Crooked Lake. She was a huge fan of the Indiana Hoosiers, and had a passion for gardening. Baking was also a past time she enjoyed. Her kids and grandkids looked forward to her cookies at Christmas time, and loved her homemade donuts and canned pears with red hots. Fran was a blood donor and ranked in the Red Cross 20% donors in 1984. She loved traveling and visiting with family and friends, and was a loving and very forgiving lady with a heartwarming smile. A resident of Northern Lakes Nursing & Rehabilitation Center for the past few years, Fran loved the church services there. She rarely missed Bingo with her friends, or an opportunity to play Dominoes with family. Fran is survived by two sons, Ron (Gail) Clouse of North Carolina, Ed (Dona) Clouse of Indiana, and two daughters, Sally (Al) Lashlee of Florida, and Sue (Doug) Runion of South Carolina. She is also survived by 25 grandchildren, 47 great-grandchildren, and 22 great-great grandchildren. She was preceded in death by her parents, two sons, Ray Clouse and Jim Clouse; one grandson, Jason Allen Lashlee, Sr., and one great-grandson, Jason Allen Lashlee, Jr. and a brother William McKale. A Celebration of Fran’s life will be held on Saturday, January 27,2018 at Pleasant Lake Mennonite Church, with visitation from 11:00 AM to 1:00 PM, and the Funeral Services at 1:00 PM. Officiating will be Fran’s son, Ron Clouse, and Rev. Lynn Eicher. Interment will follow at Osborne Cemetery in LaGrange, Indiana. 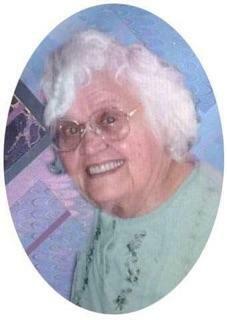 In lieu of flowers, memorials can be given in memory of Frances Clouse to Star Transportation, Steuben County Cancer Society, or the American Red Cross – Steuben County Chapter.